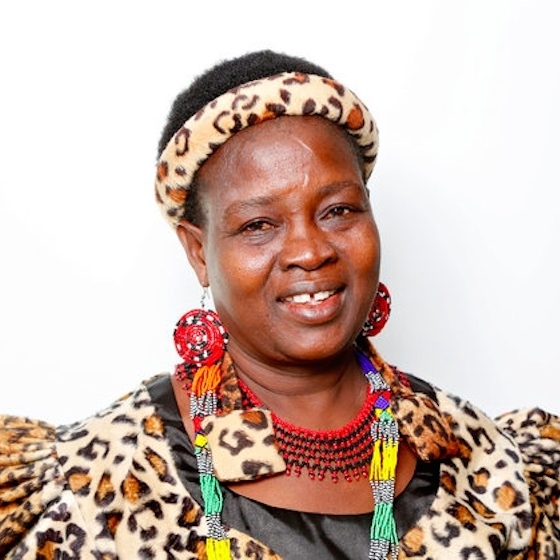 Theresa Kachindamoto is the paramount chief, or Inkosi, of the Dedza District in the central region of Malawi. She has informal authority over more than 900,000 people, and is known for her forceful action in dissolving child marriages and insisting on education for both girls and boys. Kachindamoto is the youngest of twelve siblings in a family of traditional rulers in the Dedza District around Lake Malawi. She worked as a secretary for 27 years at a College in Zomba District in southern Malawi, and in 2003, the chiefs of Dedza district chose her as the next senior chief of the district, with over 900,000 people. She said she had been chosen because she was "good with people" and was now senior chief whether she liked it or not. She accepted the position and returned to Monkey Bay, where she assumed the traditional red robes, beads and leopardskin headband. Theresa became the Inkosi of the Chidyaonga line of the Maseko or Gomani dynasty as Kachindamoto VII in succession to Justino Kachindamoto VI, who had held the title from 1988 to 2001 after the regency of Sunduzeni from 2001 to 2003.